FEE – No charge so far, though the website mentions there is a fee. Will update. PAYMENTS ACCEPTED – Credit or debit. No WM gift cards at this time. Pay online when ordering. 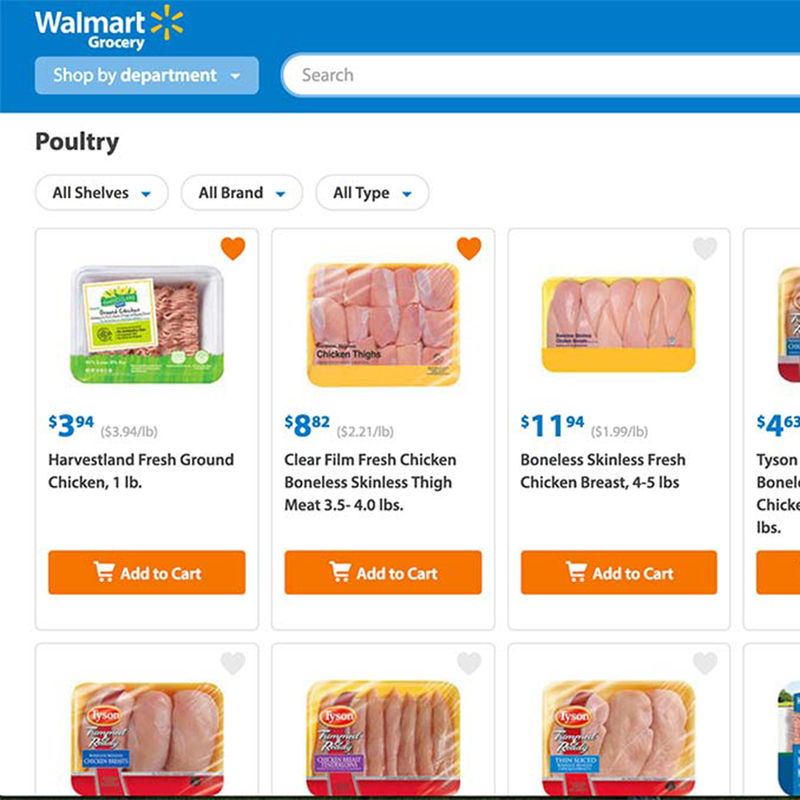 As of Jan. 2017, Walmart’s grocery website is the best in my opinion. I can see the items in my cart, add items from search results, and see my subtotal all on the same page. There’s less clicking necessary. It’s pretty easy to navigate too. The turnaround time in my area is next day for Walmart. I usually can pick any slot I want as they’re not filled up. The coupon policy at Walmart isn’t clear on the website. There isn’t an app for digital coupons like Meijer and Kroger has. I don’t clip paper coupons since I don’t have the time to go through them regularly. I sent an inquiry through the website and received a reply. They also said that many people have requested they accept coupons so maybe we’ll see that feature in the future. There has never been a problem with freshness from my local Walmart. Order accuracy is pretty good too. I usually have 1-3 substitutions per order of about $175-$250 which is to be expected. They offer a substitution option for EACH item, but NO customization/comment section (e.g. please shave the turkey instead of slice the turkey or only green bananas please).